I had a lot of fun piecing the super cute gnomeling for my queen this month. If paper piecing wasn’t our speed, she also offered an improv tree as an option. I went ahead and sewed up one of each for her. 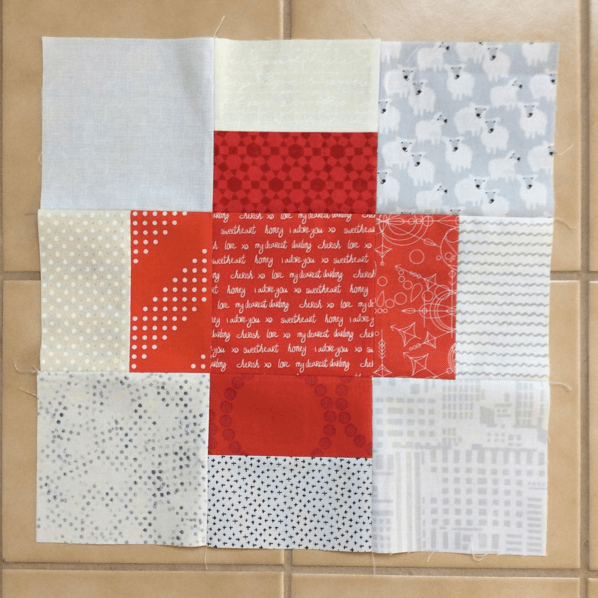 If you are interested in more details on these fun blocks, check out the Hive 9 April tutorial. If I didn’t have a budget, I would have made all the blocks this month. They are all awesome! I started by attempting this block for Shauna in Hive 3, but my first try was a disaster. After a few days, I came back to it and pressed my seams open and it worked out much better (thankfully Shauna was OK with that modification). Here is where you can find Shauna’s Hive 3 April tutorial. Helen, in Hive 6, was in my Hive last year. She and I also recently swapped mini mini quilts, and she spoiled me so thoroughly in the swap I knew I’d be making a block for her in return. This is a fast and fun block, and I will have to remember it in the future. Here is where you can find Helen’s Hive 6 April tutorial. Finally, I also made this log cabin style plus block for Liz in Hive 8. I am a sucker for log cabins. 🙂 Here is where you can find Liz’s Hive 8 April tutorial. I love your little gnome! The different construction methods in all those beautiful blocks are fascinating Yvonne. It is fun to see how they are put together, especially when comparing the two plus sign blocks. I really love the orange one with the low volume background. Are those little sheep on the top right? I love that little gnome! This Bee looks like so much fun! Great blocks! The little gnome one is so cute! Thanks so much for my block, it is awesome. My nephew is very excited to get his quilt. So many fun blocks! 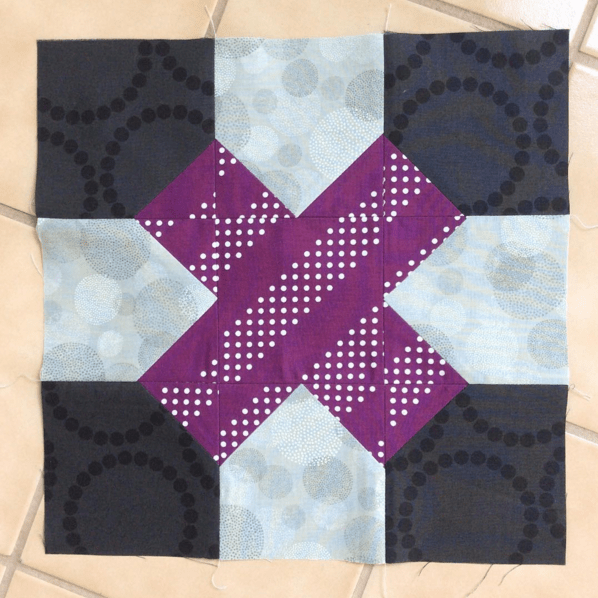 I’ve been eyeing the tic tac toe block for a little while, it’s definitely on the list to make in the future. 🙂 I love the little gnome too, he’s a cutie! Good Morning Yvonne! Each of the blocks that you made look like they were fun to create and each one turned out great. I especially liked the block for Hive 3, just the fabrics used caught my attention right away and the way they were placed added such dimension. 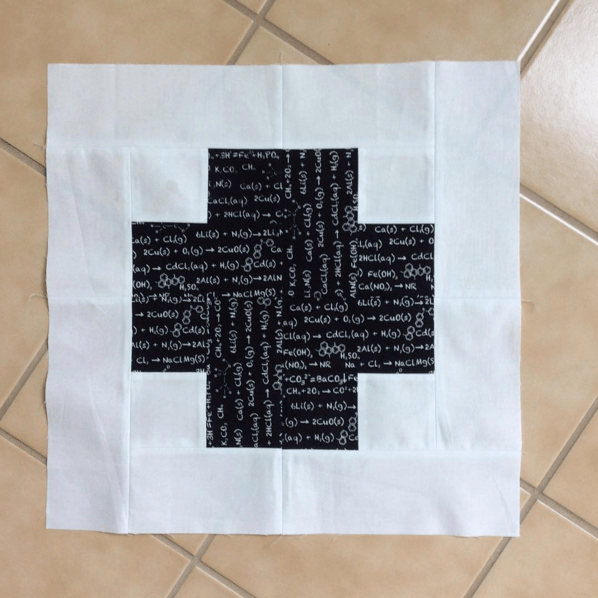 Paper piecing, for me, has both good and bad parts. It has been quite awhile since I have even done any. The blocks you did are adorable and had to be fun to do. Thank you for sharing all of these great blocks and have a fantastic creative day! Those blocks are all cute. I am drawn to the log cabin plus block. It is awesome! I’m so pleased you made me a block Yvonne ! And of course i really like it . I have a good feeling about this quilt . All of the blocks are great! I especially love the plus block, a great way to use up charms. Thank you for linking the tutorials! I really love the gnome block! 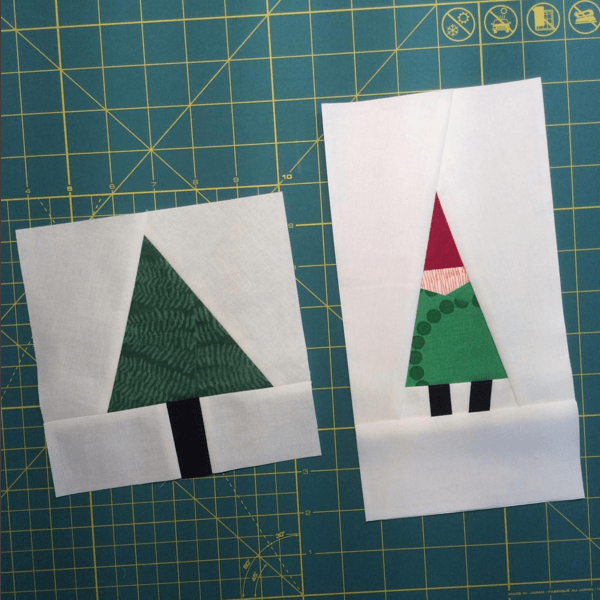 The idea of a gnome quilt appeals to me hugely!!! So many great blocks! I love both plus blocks…that’s one type of block I haven’t made yet, though I’ve been admiring them for a long time. So many projects, so little time! The interesting thing for me is that the last two blocks look similar but are pieced quite differently. That is part of the joy of bees: trying different methods.